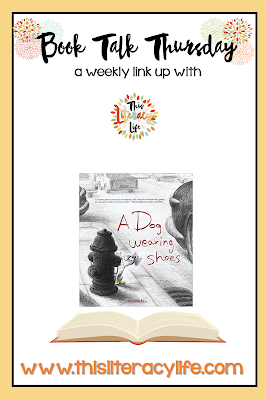 A Dog Wearing Shoes Joins Book Talk Thursday! Mini and her mom go out for the day, and they almost hit a dog with their car. When they notice the dog has yellow shoes but no collar, they realize he belongs to someone. Mini falls in love with the little dog, along with many others at the dog park. When he runs away again, they realize that they need to find the dog's owner. Signs go up, and the owner is found rather quickly. Mini mourns the loss of the dog, and her mother has a plan that just might work. The story is perfect for helping children understand that they must do the right thing, even when they don't want to. In the book, Mini really wanted to keep the dog but realized that both the dog and the owner missed each other. Finding the owner was best for everyone. Children can learn this compassion through the story and live it out in their own lives. A Dog Wearing Shoes will keep everyone thinking about doing the right thing. 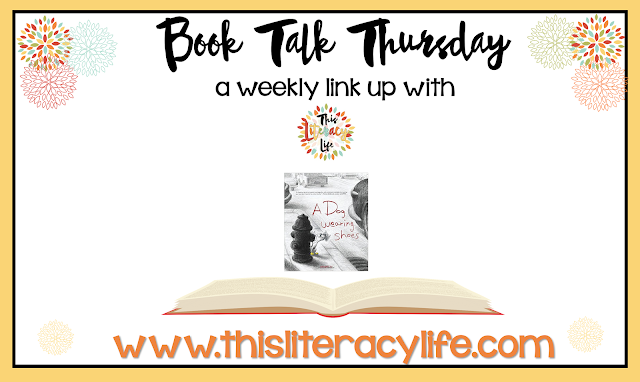 And don't forget to link up this week!